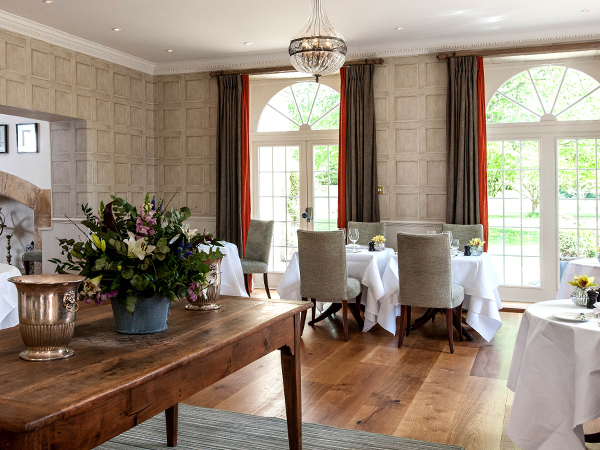 The restaurant has the light, clean lines of a contemporary orangery complemented by crisp, white table linen and the original stonework of the Chapel’s open fireplace. Celebrating the finest produce the Cotswolds has to offer, the team of skilled chefs create tantalising menus filled with flavour, using regionally sourced and freshly foraged ingredients, perfectly matched by the sommelier’s wine selections. Join us for lunch, dinner or afternoon tea or sample lighter bites in The Bar & Lounges. For the consideration of other guests we ask that you refrain from using mobile phones in the restaurant and if you are dining with children under the age of 5, that you reserve a table for no later than 7.00pm. While studying Fine Art at university Nik fell in love with food and abandoned artistic ambitions for a culinary career. Treat someone special to a memorable dining experience at The Slaughters Manor House with our dining & drinking gift vouchers.